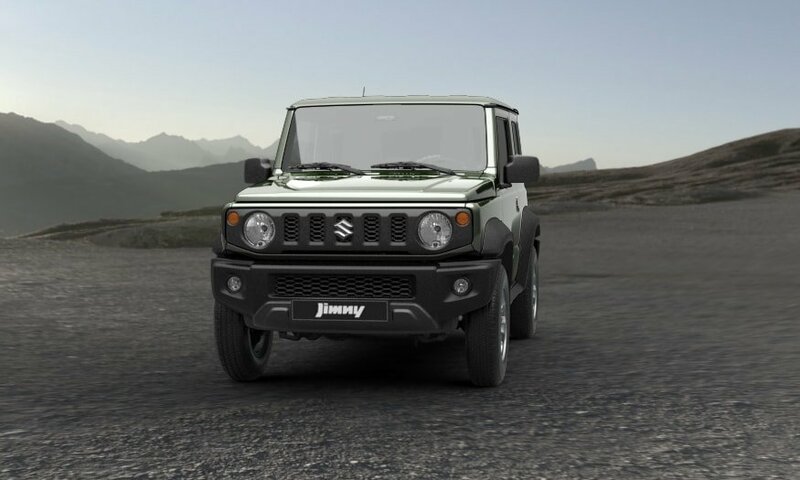 There are places in the world only the Jimny can go. 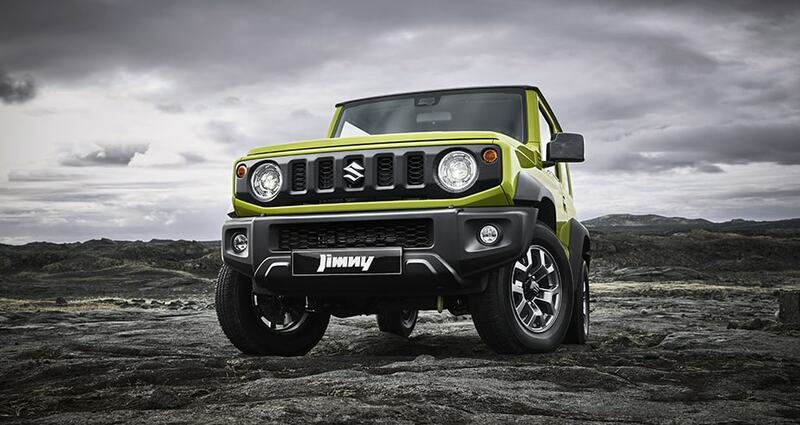 small off-roader that knows what true toughness is. Chosen time and time again by those who share its spirit. 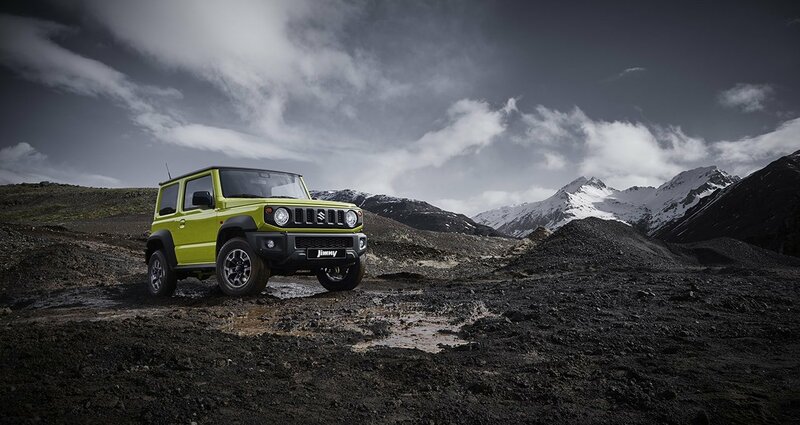 The Jimny — always shaping new frontiers. Built to tackle the harshest weather and terrain, the Jimny goes where other vehicles fear to tread. 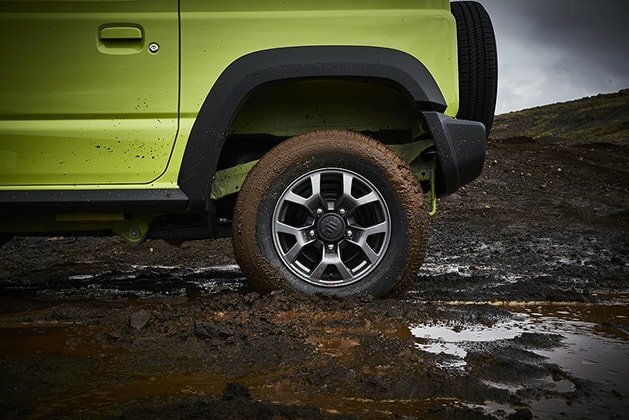 Take on nature’s challenges. 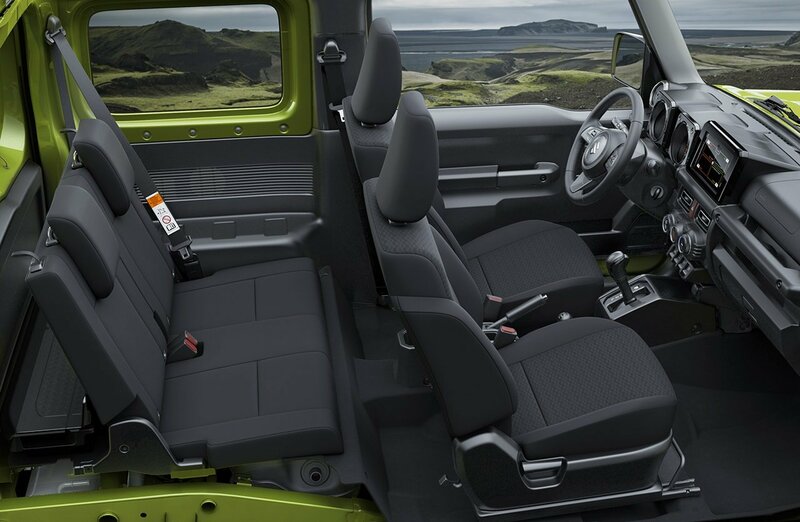 Unleash your spirit of adventure and get ready to explore. Simple and beautiful, the body is built to express off-road functionality in every detail. 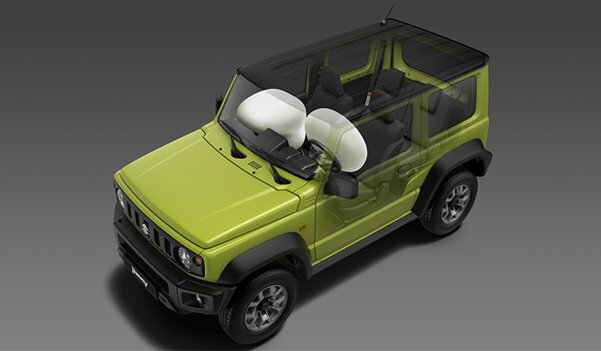 From tough square form to color variations, there is no compromise in its exterior design. 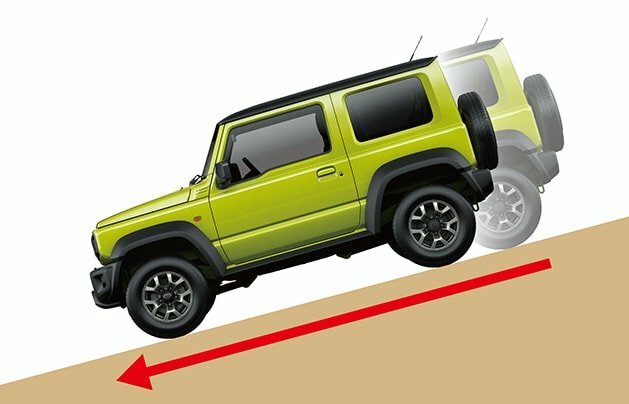 Small dimensions give the Jimny genuine advantages over larger off-road vehicles. It can manoeuvre through narrow mountain trails and thick forests to go where larger vehicles dare not to tread. Let the Jimny take you on your all-weather adventures. 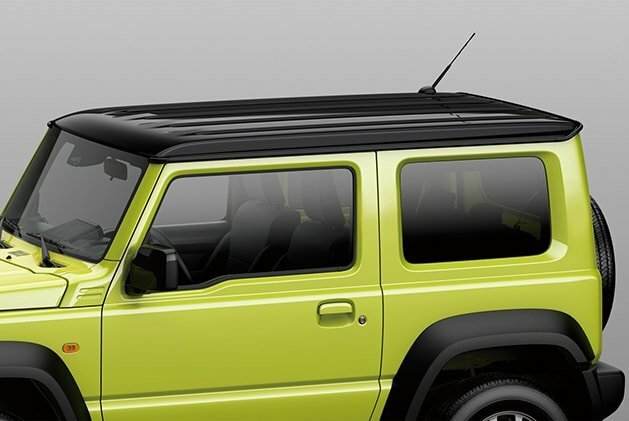 The drip rail can keep your head dry and your spirits bright when entering and exiting by helping to prevent water from dripping off the roof. 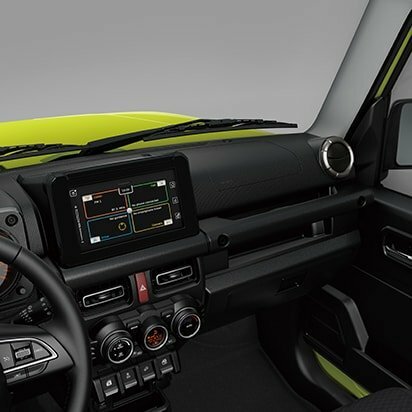 In the Jimny, there’s little to distract you from driving. 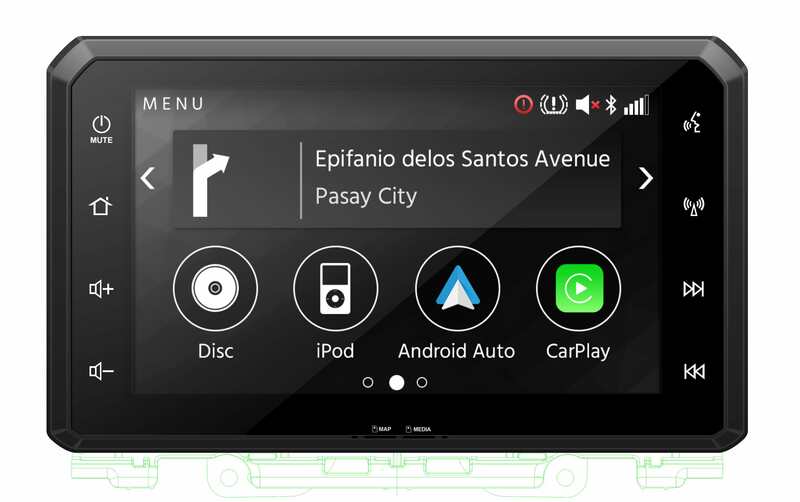 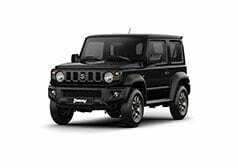 Its stylish black interior is humble yet handsome, and controls are designed for quick and easy operation even when wearing gloves. Horizontal lines defined by the instrument panel, and vertical lines characterized by the meter cluster and centre console panels, help the driver recognize the angle of the vehicle in rough instantaneous terrain. 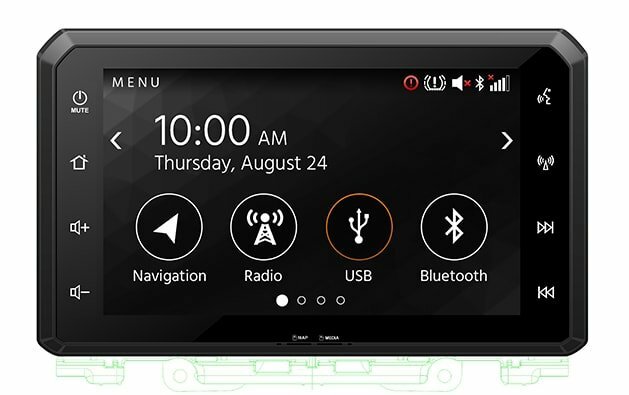 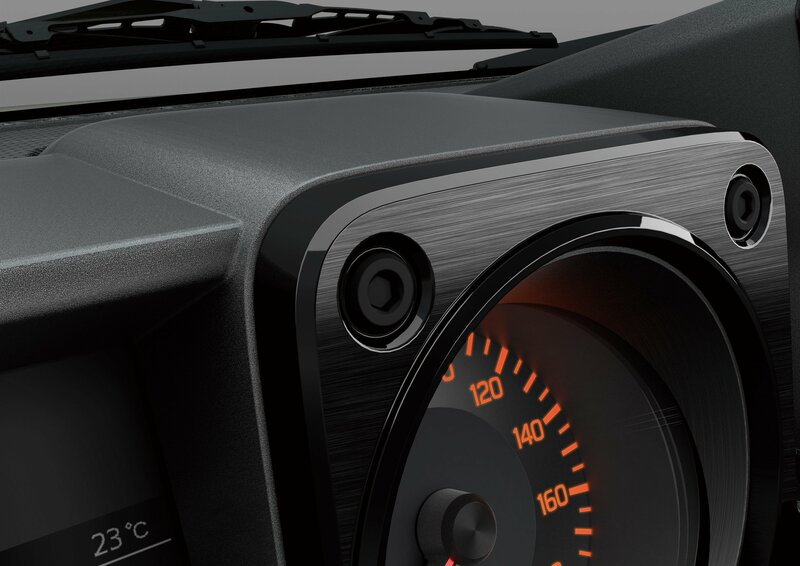 The instrument panel and surrounding parts have scratch and stain-resistant grained finish. Relish the sheer pleasure of simple, straightforward and sensible design. Colours are minimal. 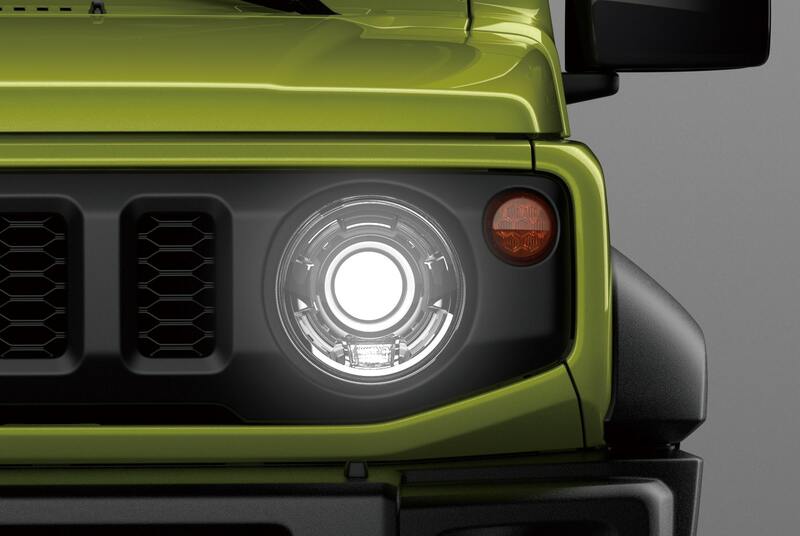 Every detail is thoughtfully and attractively crafted to support serious off-roading. 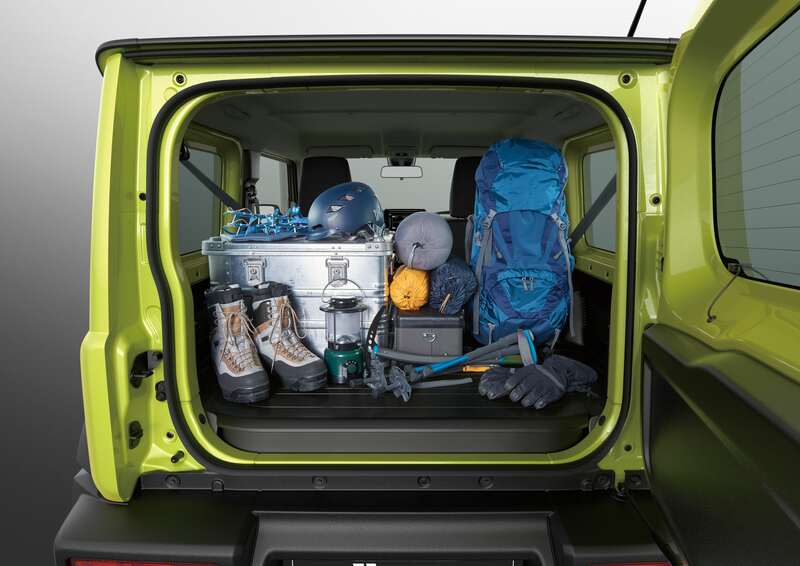 Whether navigating the urban jungle or exploring off the beaten track, the Jimny offers ample space and practical storage to accommodate every need. 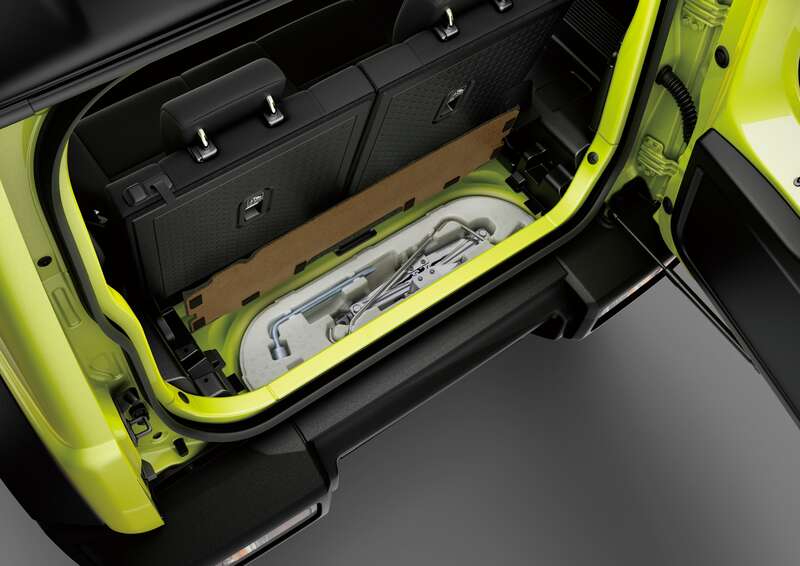 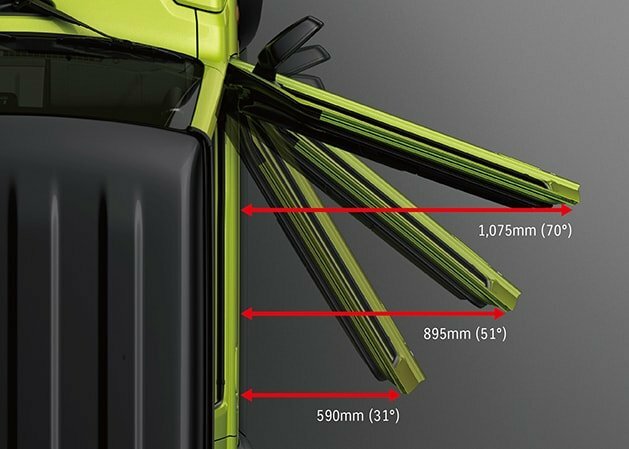 The front seat cushion frames are 70mm wider and 55mm taller seatbacks contribute to better shock absorption. 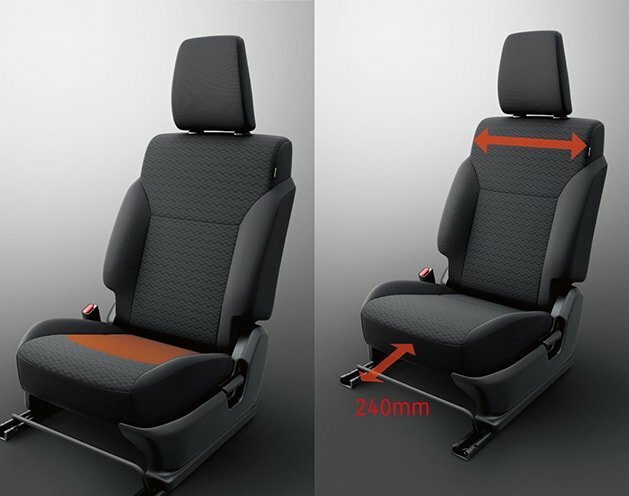 The seat bolsters provide firmer support at the hips, while the shoulder area is intentionally flat to allow free movement of the driver’s body when the vehicle tilts in uneven terrain. 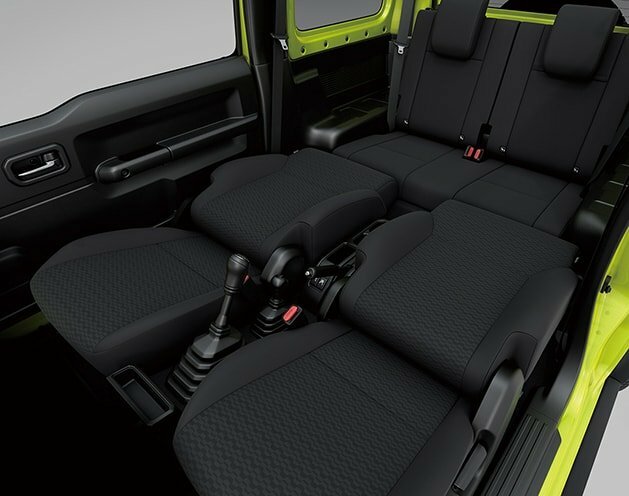 The seats are narrower at the shoulders so the driver can look back with ease. 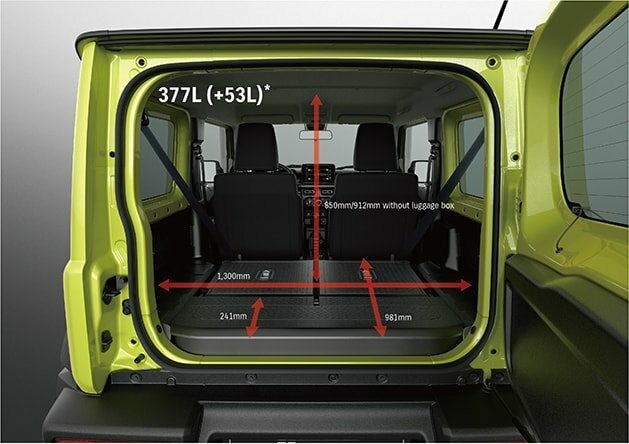 The sliding range of the front seats is 240mm. Uncompromising features define the Jimny as a serious off-road machine. 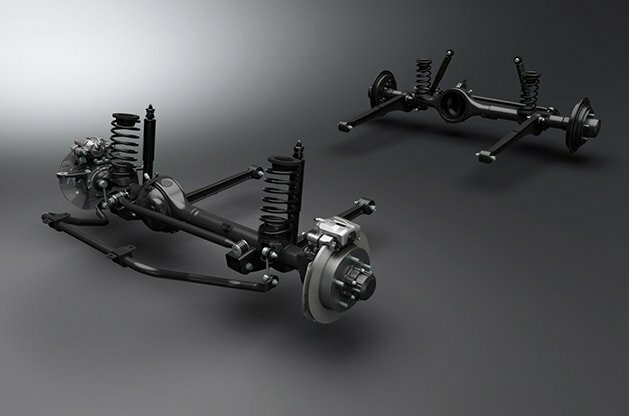 A robust ladder frame, three ample body angles, 3-link rigid axle suspensions with coil springs and 4WD with a low-range transfer gear. Equipped with a 1.5 litre engine, it takes you wherever you want to go with unrivalled agility and powerful torque when you need it most. 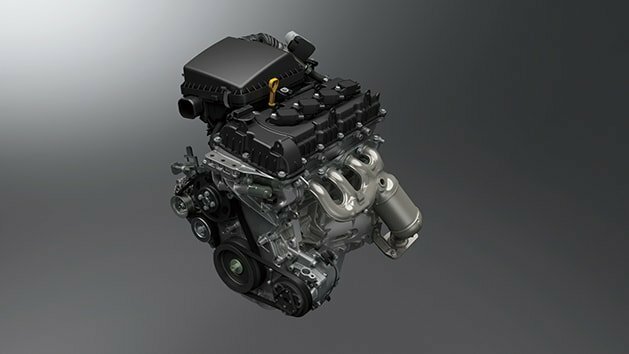 The new Jimny adopts a K15B engine that is lightweight, compact and fuel-efficient. It delivers stronger torque at all rpm than the previous Jimny, with ample torque at low revolutions maintaining off-road driving performance as well as enhanced fuel efficiency. 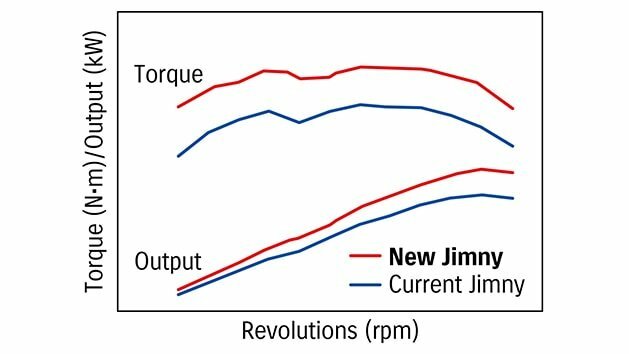 Based on the current model’s 5 speed manual transmission, the new Jimny’s transmission system has optimized gear ratios and better fuel efficiency. 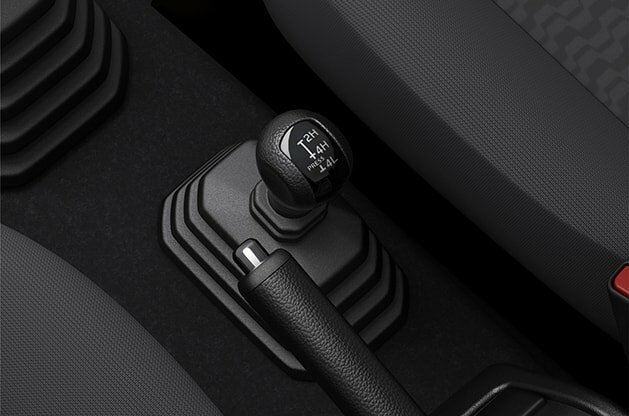 The 4-speed automatic transmission has been renewed to match the K15B engine, with refined transmission components that reduces friction and enhanced fuel efficiency. 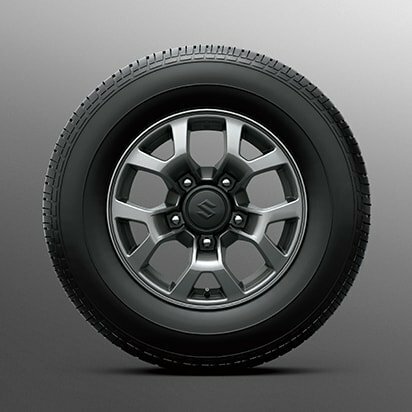 ALLGRIP PRO offers high off-road ability to meet the driver’s spirit of adventure, and gives the driver strength to face and explore challenges. 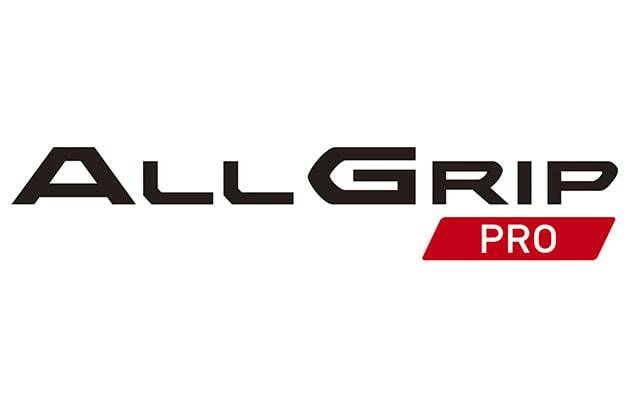 With the part-time four-wheel drive system with reduction gear, ALLGRIP PRO can satisfy the driving performance required by professionals to instantly respond and manoeuver through difficult terrain. 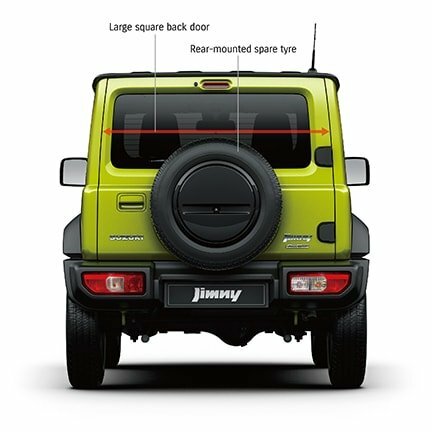 The all new Jimny is built on the four key features that define a serious off-road vehicle. 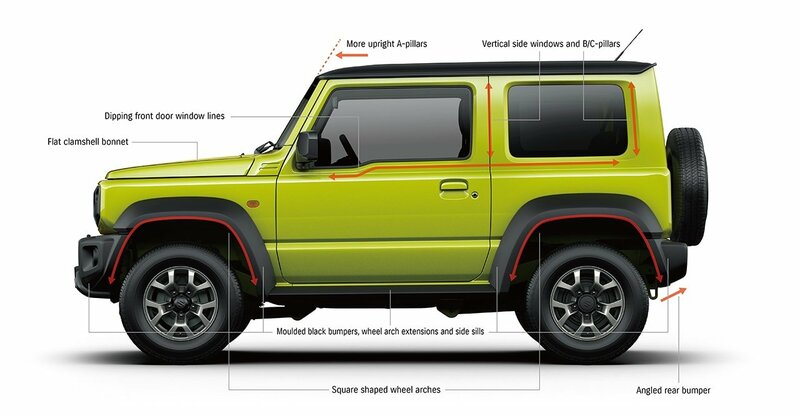 Compared to a monocoque body, it is more resistant to torsion and better suited for off-road use. 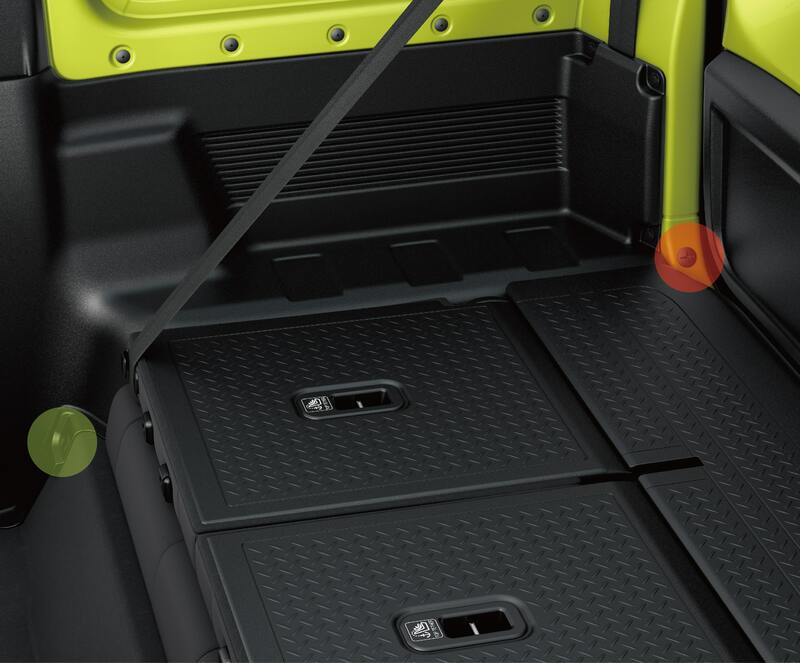 With the ladder frame, the driver can drive confidently even on rough terrain. 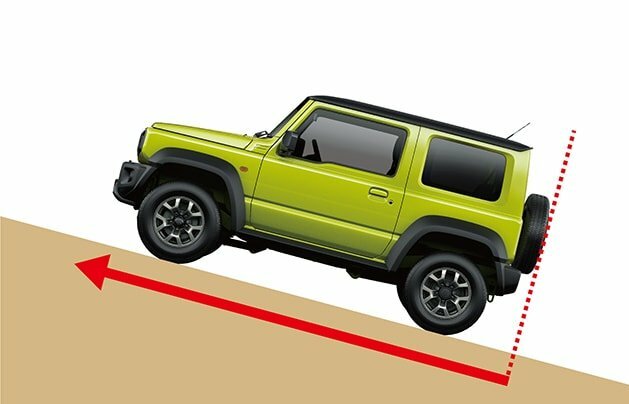 The Jimny can climb over obstacles and steep hills without scrapping its bumpers or underbody, thanks to an ample approach angle (37 deg. 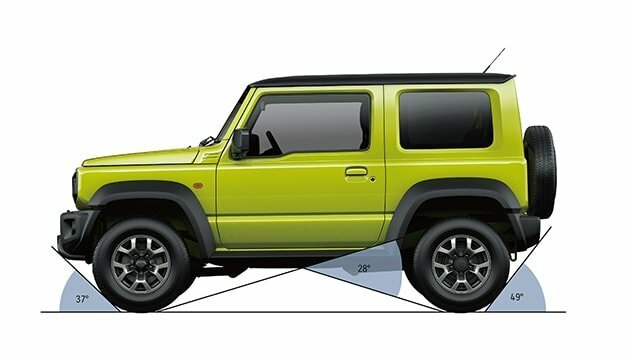 ), and ramp breakover angle (28 deg.) 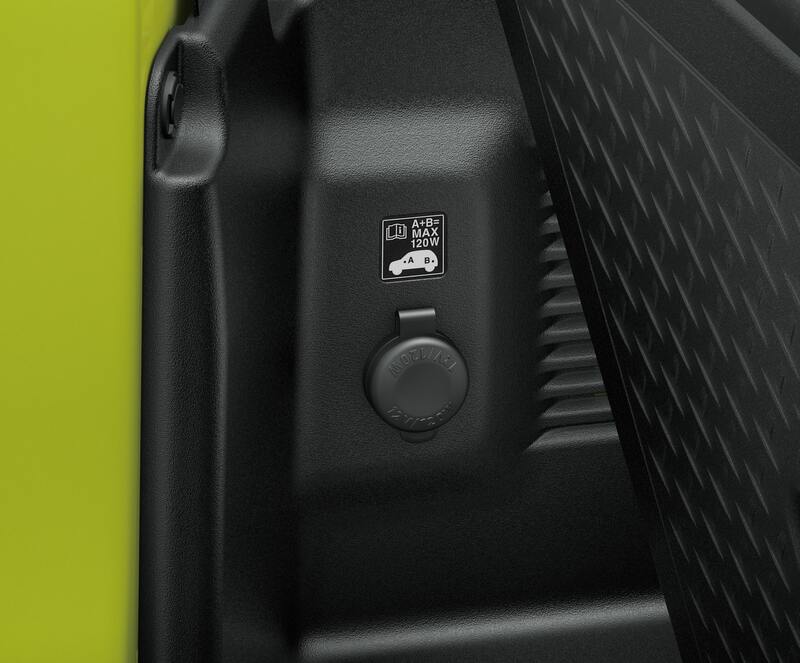 and departure angle (49 deg.). The new Jimny is equipped with long-stroke 3-link suspension that is teamed with rigid full wheel axles on both front and rear to support strong traction on uneven terrain. 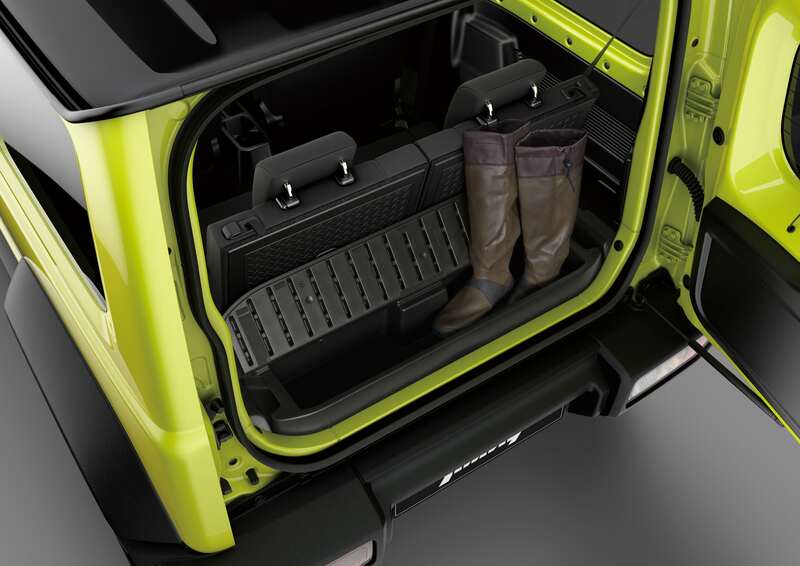 It’s a far more robust solution than the independent suspensions found on many of today’s SUVs. 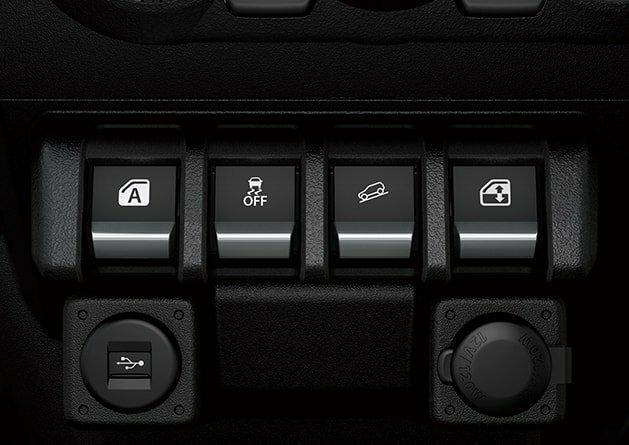 Part-time 4WD allows switching between 4WD, for optimal off-road performance, and 2WD for better fuel economy and enhanced cornering on paved roads. 4WD low range transfer gear provides extra torque in the 4L mode for rough terrain. 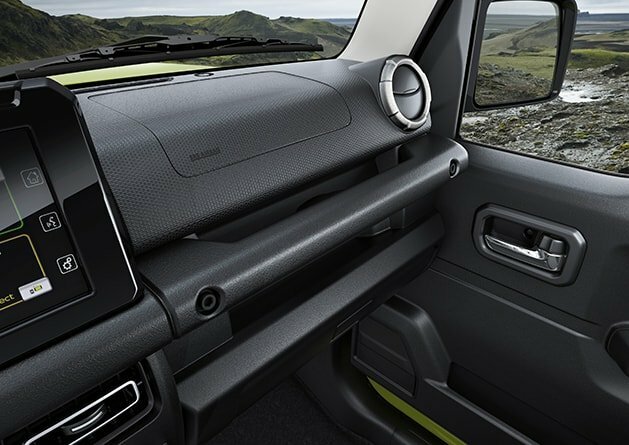 On tricky descents, with a push of a button, the system is designed to automatically apply the brakes and maintain a fixed speed so you can concentrate on steering without using the brake pedal or clutch. 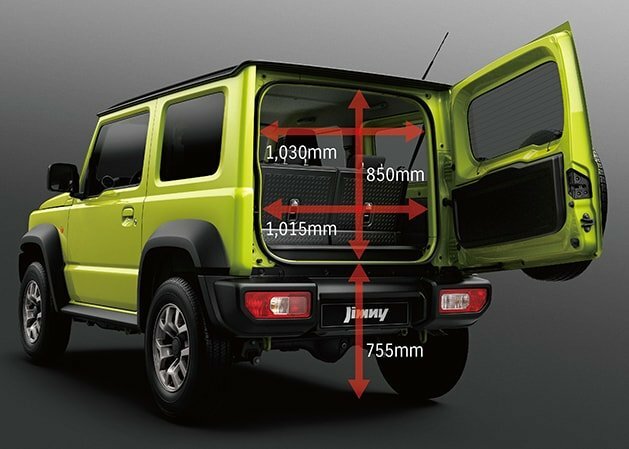 The new Jimny has a minimum turning radius of 4.9 meters. 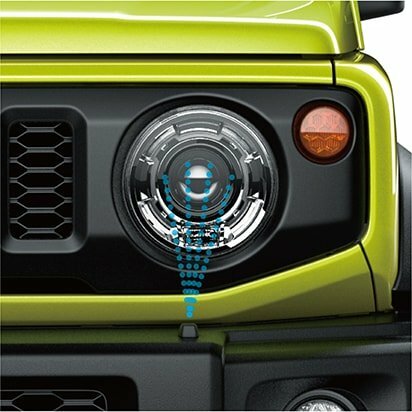 It provides excellent maneuverability in places where larger vehicles require 3-point turns. Safety is a priority whether trekking through the wilderness or commuting in the city. 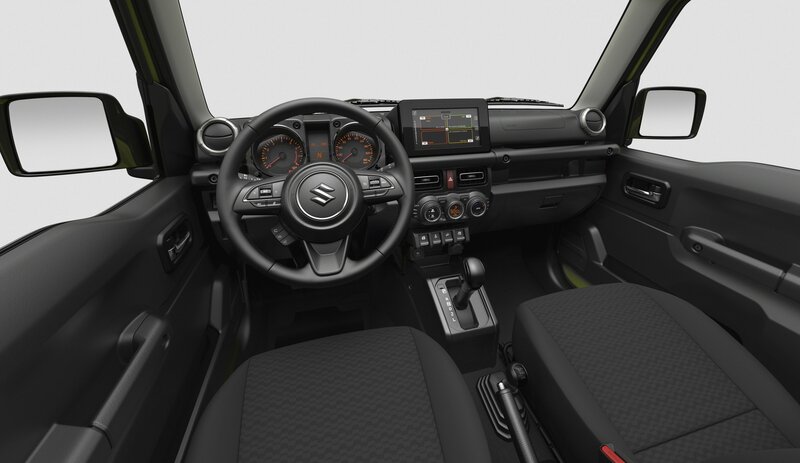 Thanks to the protective advances of Suzuki Safety Support*, you can always drive with peace of mind. 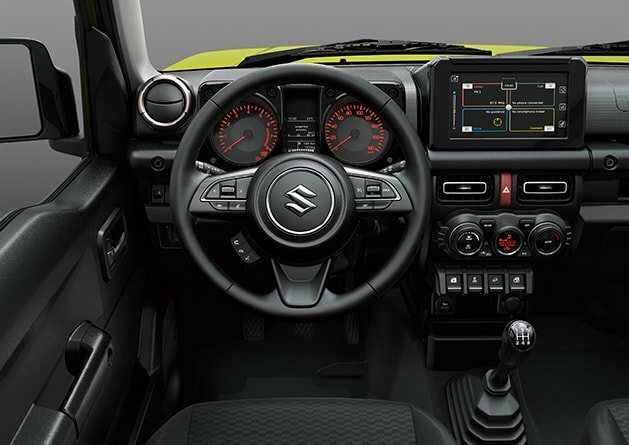 *Suzuki Safety Support is Suzuki’s preventative safety technology that helps the driver avoid accidents and supports the driver to have peace of mind during every day driving. 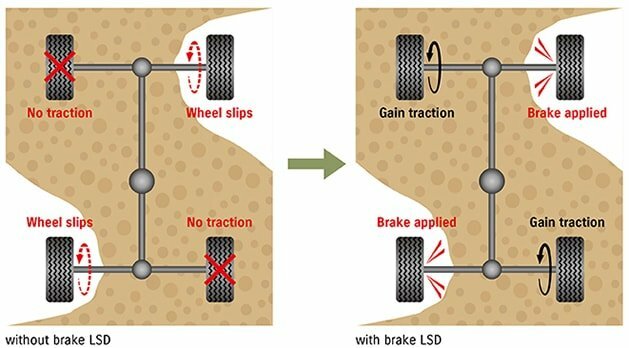 If the Electronic Stability Programme (ESP®) detects wheel slippage, it automatically adjust the engine torque and brakes to suppress wheel slippage and help the driver stay in directional control. 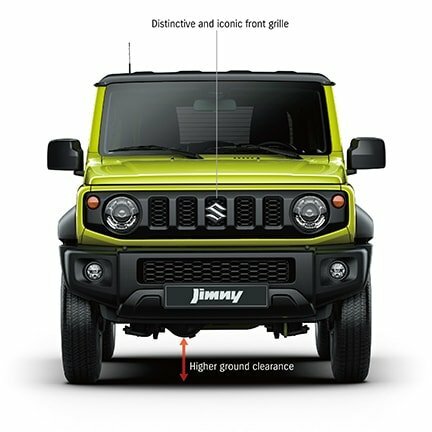 The new Jimny’s body design centres on Suzuki’s TECT concept, resulting in a structure that efficiently absorbs and disperses energy in the event of a collision. 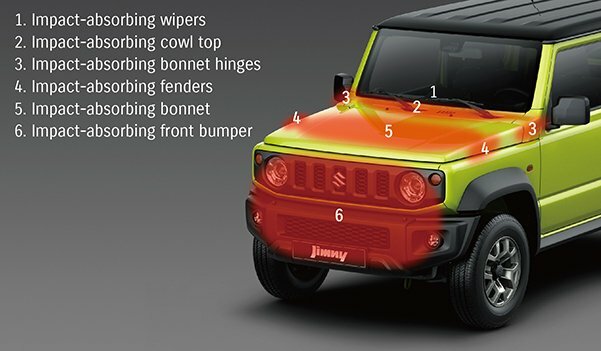 The bonnet and its surrounding parts absorbs impact to mitigate head and leg injuries in the event of a collision with a pedestrian. 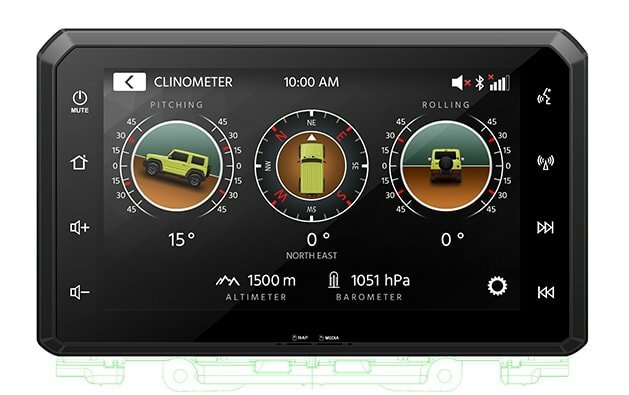 28 deg. 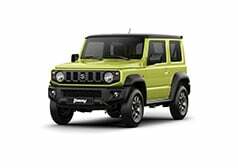 28 deg. 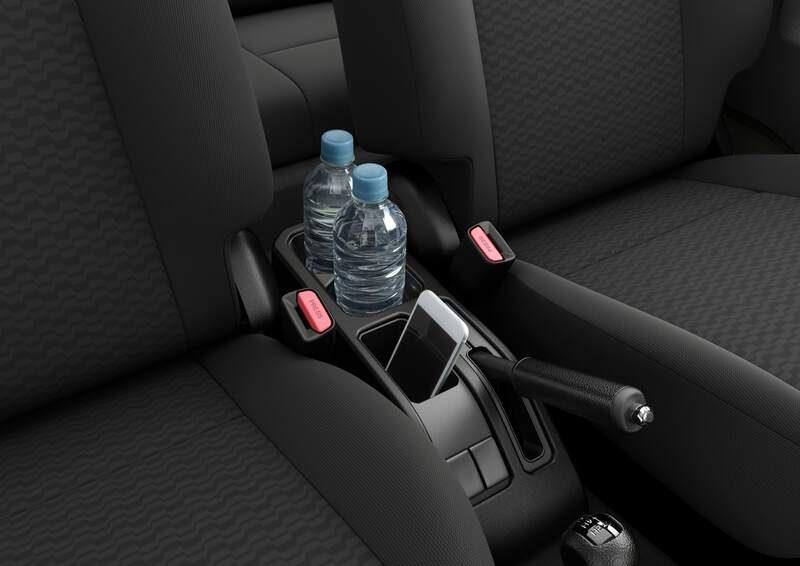 28 deg. 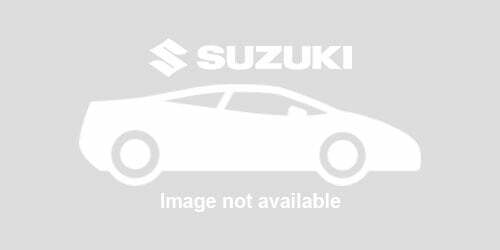 28 deg. 49 deg. 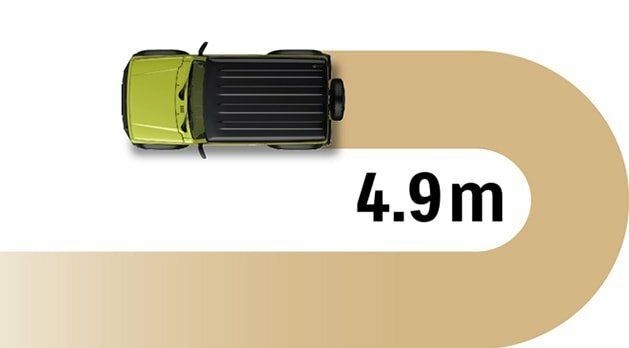 49 deg. 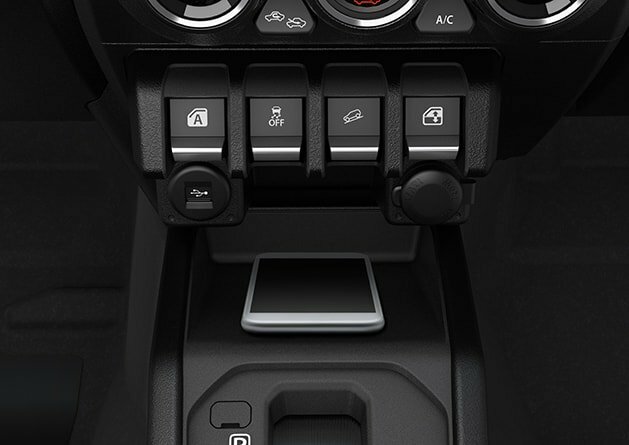 49 deg. 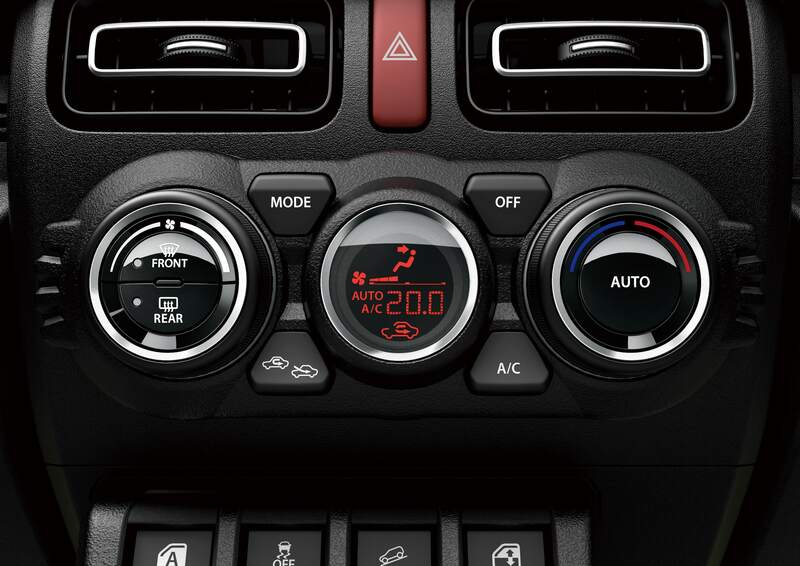 49 deg.